Upon receipt of the Tomos of autocephaly, the Ukrainian Orthodox Church-USA will remain a jurisdiction of the Ecumenical Patriarchate and will not join the One Local Orthodox Church. Metropolitan Anthony (Scherba) of the UOC-USA said this in an interview with the Voice of America. 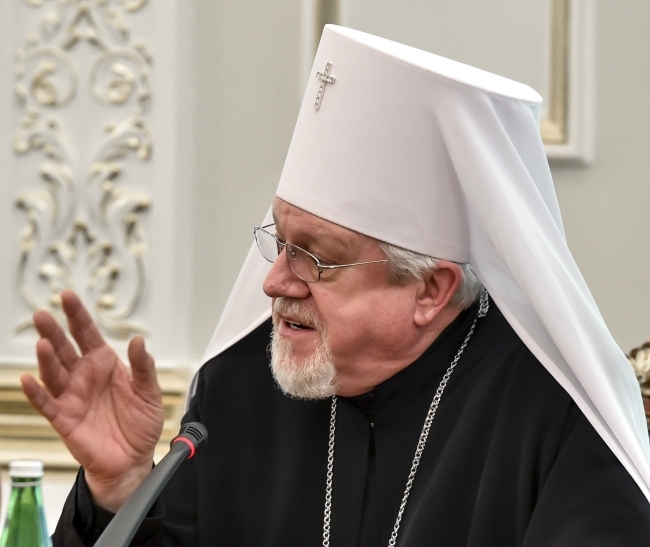 “The UOC-USA is most likely to remain a jurisdiction of the Ecumenical Patriarchate,” the hierarch believes. At the same time, he does not rule out that, in the long run, the Orthodox believers of America will join the newly established Ukrainian Church. “I do not say this will never happen. I have abandoned the word “never” long ago, when Ukraine gained its independence,” he adds. Metropolitan Anthony has also defined the condition under which this association might occur. “This may happen when the newly-established Church in Ukraine reaches a certain level of maturity and operates beyond the limits of political processes and personal ambitions and interests. But in any case, we will continue to communicate and for us it is the greatest blessing,” said the hierarch of the UOC-USA.